The first installment of the Design Miami/ Tent houses over twenty-five design galleries in a single 43,000 square foot space during the December fairs in Miami, Florida. The modular A-frame system common to the tent industry is customized to be packed, stored and re-assembled for future use and customization. Natural light is controlled through an outer mesh scrim to naturally illuminate the exhibition of furniture and design objects in the fair. Sitting on a prominent corner in the Design District, the highly customized facade allows for a layered transition from the public space into the galleries inside. 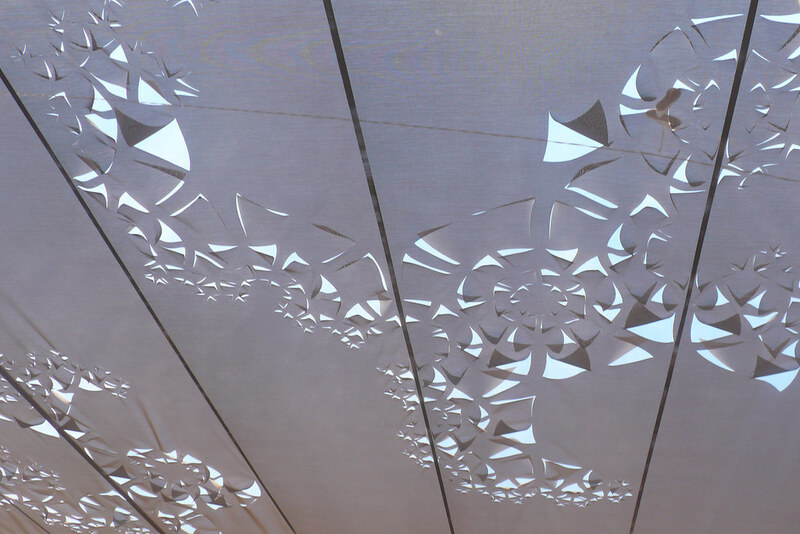 A snowflake pattern is used to perforate the facade with openings and entryways as a gentle reminder to those escaping the cold winters of the north.